Dove, Inc. 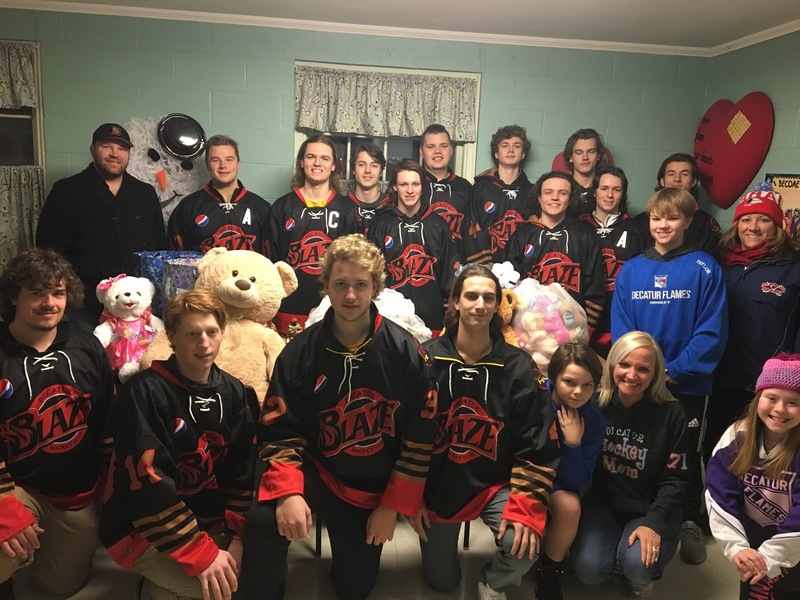 Domestic Violence Program was extremely blessed to get a donation of teddy bears from the Decatur Youth Hockey League and the Decatur Blaze. This collection of toys is more than just some stuffed animals, but represent a piece of joy in the midst of heart ache, confusion, and unfamiliar people in an unfamiliar place for children coming from abusive households. The fact that a group of young men would take the time to not only collect the items, using their podium in life to make a stand against domestic violence, but would also take the time to come out in their free time and hand deliver them says a lot about the hope that rests with our future. That very night a young princess received a little princess bear whose shiny little dress practically matched the one she wore as she skipped around the shelter in excitement. That very night a boy who was learning that it was now safe enough to finally talk about what life with his dad was really like received a strong teddy bear almost as big as he was, cool enough even for tough little survivors like him. We at Dove are thankful for our local partners, including the ones who are strong enough to take a hit on the ice and stand up for survivors of violence at the same time.